If something sounds too good to be true, it probably is. For people managing diabetes, that’s a warning to take seriously. Products that promise an easy fix are tempting, and many claim to alleviate symptoms and even cure diabetes. But many are bogus, illegal and potentially harmful. The Food and Drug Administration recently cracked down on companies selling products ranging from dietary supplements to prescription drugs sold without a prescription and “natural” products that tests found contained unlisted pharmaceutical ingredients. Nearly 26 million Americans have diabetes. There’s no cure, but you can live healthily and prevent or delay common (sometimes life-threatening) complications with the right care. Your doctor will determine whether you need medication and prescribe the best one for you. Plan your meals. Choose from a variety of foods (including vegetables, whole grains, fruits, non-fat dairy, healthy fats and lean meats). Consider portions (eat more non-starchy vegetables and fewer starchy foods and meats). Space meals evenly throughout the day. If you want a piece of Halloween candy, that’s OK. There are no “off-limits” foods. Just try to save sweets for special occasions, keep servings small and limit carbs in your next meal to help keep glucose levels on track. Any type of physical activity will help lower blood sugar levels, so choose something you enjoy, such as walking or biking, and work it into your daily routine. Exercise also helps boost energy, burn calories, relieve stress and strengthen the heart. A small, new study of people with Type 2 diabetes suggests that regular, moderate-intensity workouts led to significant decreases in the amount of fat in the abdomen, liver and around the heart, all associated with increased risk of heart disease. Get your doctor’s OK before starting an exercise program. It’s the only way to know if your levels are in your target range. Careful monitoring can show you how your diet, activity and medications affect glucose. Your doctor may have you record your levels daily or several times a week. Other numbers to watch: blood pressure and cholesterol. Like diabetes, high blood pressure can damage your blood vessels, and when cholesterol levels are also elevated, your risk of heart attack or stroke can rise. 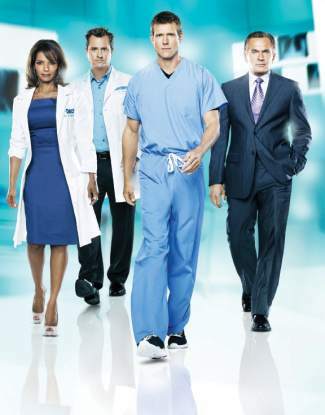 “The Doctors” is an Emmy-winning daytime TV show with pediatrician Jim Sears, OB-GYN Lisa Masterson, ER physician Travis Stork and plastic surgeon Andrew Ordon. Check http://www.the doctorstv.com for local listings.